Drinor, one of the most promising clentech companies in the Nordic region. 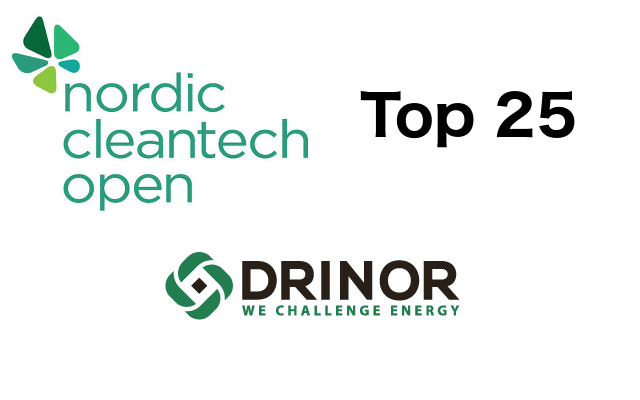 Drinor is one of the 25 most promising cleantech companies in the Nordic region, that was clear when Nordic Cleantech Open published their list for 2016/2017. – We´re proud and honored to be presented on such a prestigious list. It´s clear that the need of utilization of biomass as an energy source is great, says Alexander Thelander, market executive at Drinor. Drinor dewaters biomaterial very energy-efficient and enables a great potential to higher profitability within the sector of circular bio-economy. In December Drinor was granted financing by the Swedish department of energy, and have now started the project of building a full-scale industrial press, CDP. Please contact us for questions and further info!